Pray for Christians to be reignited with a fear of the Lord, restored integrity, God-centered morality and ethical foundations among His people. 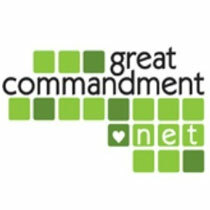 A new commandment I give you: Love one another. As I have loved you, so you must love one another. By this all men will know that you are my disciples, if you love one another—(John 13:34-35). Do not be overcome by evil, but overcome evil with good—(Rom. 12:21). Pray for: Christians to be reignited with a fear of the Lord, restored integrity, God-centered morality and ethical foundations among His people. The church needs to meet the standard of Scripture before it attempts to talk to the culture. We must have strong individual, personal testimonies of victory in the areas in which we want to offer help to others. It is not just enough to speak the way; we must lead the way. For instance, Christians should work to make their marriages models of success so that we as a community will have greater authority to speak to the nation about marriage. The Christian community has a responsibility to serve the nation before it can credibly confront the nation. Crisis pregnancy centers are an excellent example of a way in which churches and outreach ministries have addressed the problem of abortion. These ministries show that our opposition to abortion is not just a matter of meddling. We are willing to help people. One of the most problematic aspects of Christian activism in our day is the fact that we are often labeled and typecast. Our good is “spoken of as evil.” We need to consider our practices and methods to insure we are not fueling those stereotypes. God, we praise You that You have entrusted to Your church the ministry of reconciliation... . I am blessed that You have placed me where I am to shine! Father, I have often not lived right—my walk has not matched my talk. Forgive me, Lord. Jesus, I have often not done right—my truthful declarations have not always been supported by my deed of serving and love. Cleanse me, Lord. I have often not moved right—as I have allowed the tenderness of Your heart to be distorted by my judgments and self-righteousness. I come to You in repentance, Lord. Restore to me—and to all of Your people—the testimony of being a “living letter” of Your life and love as I am “known and read by all men” (2 Cor. 3:2-4). Lord, I claim the promise that you are powerful and faithful to equip me so that I might “walk in a manner worthy of our high calling in Christ” (Eph. 4:1). * Adapted from Harry R. Jackson and Tony Perkins, Personal Faith, Public Policy (Frontline-Strong, 2008), used by permission.